Anonymous, 01 Sep 2012ace 2 is slowest with no ice cream sandwich and doubled price ! You ca nbuy two lives with ace... moreAce 2 is faster then your walkman. 2X800mhz=1.6ghz compared to just 1ghz. Why do you wqn't ics that badly? ICS is heavier compared to GB. The only changes in ics is the animation. Like the nimation when rotating. Ace 2 is not twice the price of walkman. Ace 2 is about 14k php and walkman is about 10kphp (the price might drop since the phone is being phased out). The only disadvantage is no font cam. Samaung don't force hardwares just to update. Like what happen to xperia mini and mini pro. Once you update it to ics, the performance of the phone drops and some lags are happening. Check the difference between ics and gb. Ics is only enchancing the visual effects in exchange to performance. Which is not really that necessary in GB with touchwiz v4 since the touchwiz enchance the visual effects. So upgrading to ics will only slow down the phone. base on what i read here in this forum tipo is the top among its competitor in budget smart phone,maybe it's not of the cheapest but the best choice for the entry level and best choice for its price tag. 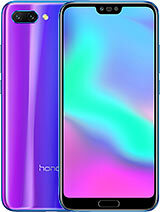 I think i go for this phone. Tipo:Screen it use scratch resistant-galaxy?? guys, help me decide which handset to buy. 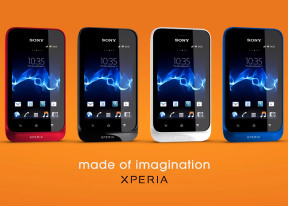 Im considering xperia tipo, lg l3, galaxy ace and xperia mini pro. better sony ericsson xperia mini and pro..
AnonD-11106, 31 Aug 2012How come your comparing Ace to Walkman? I was comparing it to Tipo. FYI Ace has flash, auto fo... moreSamsung is the best only 4 high end smartphones nt for mid range or budget smartphone.samsung mid range smartphone equipped with the same outdated processor, old OS, less ram,low internal memory,no new update. Just tell me,can ace ever get ICS OR JB update ? no, never! Bco'z it's nt capableto handle ICS.and either samsung nt interested to give new update to it's mid range phone.just see how many samsung smartphone get ICS. While sony providing ICS to it's almost all device even xperia mini got it.samusung is focusing on it's high end smartphone so ignoring to budget smatphone.m nt against samsung and nt pleading of sony, just posted what is fact. It's ur money nd u've right 2 spend as u wish.best of luck. Luv, 31 Aug 2012From the CNET UK review: Verdict The Sony Xperia Tipo delivers Android Ice Cream Sandwich to... moreThanks for sharing. I hope these bugs will be fixed. I'm planning to buy this and I wanted to make sure that I won't be wasting money. dark01, 31 Aug 2012okay ace is better.,maybe just for you.,but for me tipo is best. !try to compare ur overpriced ... moreHow come your comparing Ace to Walkman? I was comparing it to Tipo. FYI Ace has flash, auto focus, DNSe (Digital Natural Sound engine makes the sound more clear and natural) and capacitive bottoms. Ace also have integration with samsungdive. FYI samsungdive allows you to control, track, lock, make it sound at maximum volume for 1 minute and reset your phone by logging to samsungdive.com it is a unique feature which ensure you total control of your device even if it's stolen. You can control your device without letting the one using the device know. It ensure complete protection of your device. O, by the way, I read alot of comments about the defects of live with walkman. And not only that, the photos of both device are compared and it seems that Ace has a richer detail and no spots or whatsoever are found in the photo. And by the way, you should compare Walkman with ace plus since that is the successor of Ace. Ace is released January 2011 and it's now replaced with Ace 2.
many of you might have read cnet uk's review of the tipo. They have said that the phone lags sometimes. which phone in this range doesnt. the galaxy y is a good example of how laggy phones of this price range can be.just ignore these small glitches and focus on the raw power. even high end phones have small problems whem they are launched but they are soon resolved with an update. i dont think these small things determine what to choose and what not to choose. just wait for 15-20 days and you will know whether this problem is with many people or only cnet had a phone with problems. dark01, 31 Aug 2012yes almost 2kphp., gsy is about 5.5 l3 is almost 5.5 this is 7k+ the reason. ?maybe becau... moreI hope this is the reason. Actually the price of phones depends on the market. gsy has got a price cut in India now after almost an year and off late sony has been pricing its phones very conviniently here, so I'll just keep my fingers crossed.